Hey guys, it looks as though the bosses of Coronation Street have gone and put their foot in it yet again. Apparently, they’re bracing themselves for a furious backlash over a Remembrance Day episode mocking the deaths of brave British Service men and women. 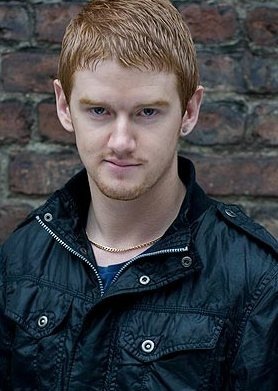 According to The Mirror, in a forthcoming episode of Corrie, viewers will see bad boy Gary Windass mocking Ted Page for wearing a Royal British Legion poppy. Apparently, while talking with the old soldier, Gary says: "Must be a nice little earner, ’em poppies. They must cost hardly anything to make." Ted then replies: "That’s the point. The profit goes to the servicemen and women" Gary adds: "You could still make a killing out of it on the side," before adding, "No pun intended." An ITV1 source said: "Bosses should be braced for a ferocious backlash. A lot of older viewers will be horrified." Hey guys, I don’t know about you, but I’m in agreement with the ITV1 source… I think the comments are a bit inappropriate, but they’re supposed to come out of the mouth of a character who’s a bit of an idiot. This isn’t the first time Coronation Street has invited controversy over insensitive remarks made on the show. I think there was an episode in which Ken Barlow sparked anger following comments made about Christianity in an Easter Sunday episode. But the producers of our soaps have got to boost their viewing figures and get into the papers somehow. Contentious remarks is just one way to do it. the script writers ought to be ashamed of them selves,they should promote the poppy appeal,not mock it.if troops of all nations hadnt given there lives,tasteless over paid script writers wouldnt be alive today. The whole point is that the comments are tasteless and inappropriate. The scriptwriters acknowledge that brave men and women died protecting us – they are still dying – every day – unless you haven\’t noticed. what is the world coming to??. people are trying to encourage teens to respect their elders and to look up to the guys who put their lives on the line day in day out. we are trying to get more of the younger generation to enlist, not take the piss!!! The point of making louts like Gary say things like that on TV is not to upset people. It is to give the other characters a chance to respond, the way everyone who is moaning about the script would like to be ableo do in real life. The reality is that there are some people like Gary who would have those opinions, but most of us would not be brave (or stupid) enough to tell them that they\’re opinions are ridiculous. Don\’t be offended, people. Be grateful that thru TV characters, a reply can be heard… even if those who are likely to hold those opinions are not too likely to be watching Corrie.